In a move that many will call an attempt to compete with unique features of Google+, Facebook made some major upgrades to sharing and privacy controls earlier today. The focus is to give users more power over the specific friends they share content with. 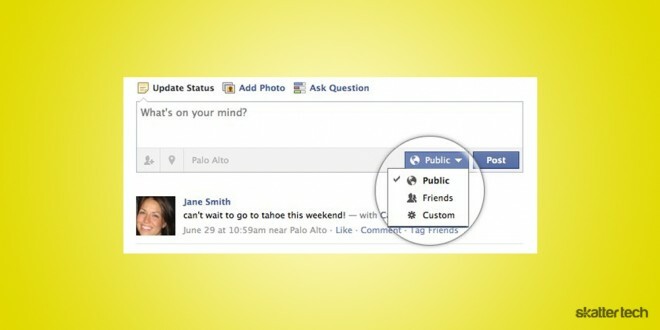 One of the changes Facebook made to privacy lies within profile settings. After the roll out is complete, a privacy drop down menu will appear next to each specific type of content. For example, this makes it possible to share your music interests with all of your friends and movies with only a few, if you choose to take advantage of the new options. Additionally, Facebook is greatly improving tagging. 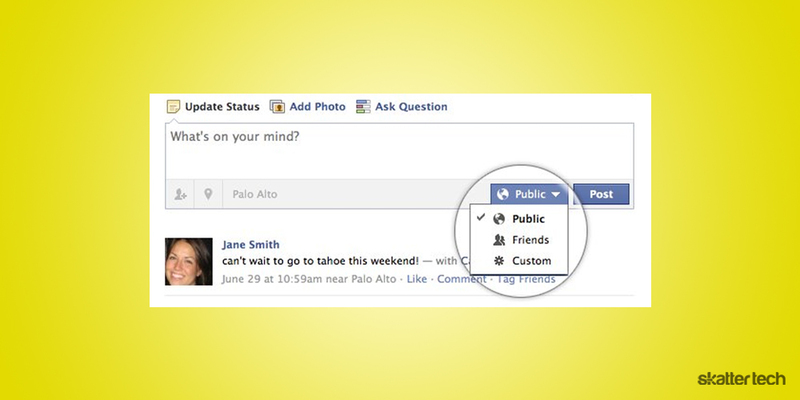 As of now, if someone tags you in a photo, you have absolutely no control over the tag appearing on your profile. Pending posts will allow anyone to approve or deny any posts or tags involving them. Users can enable or disable this in the settings. And if you choose to remove a tag, you can also now optionally send a message to that person requesting they take the photo down or just block them altogether. Personally, I am more excited about all the new possibilities with sharing content. I have long requested this feature and it is finally here: the ability to change the privacy settings for a specific post after I published it on Facebook. People that commonly make the mistake of sharing something with the wrong people will certainly rejoice over this. Previously only on mobile devices, location is now making its way to the desktop too. As part of a slightly revamped user interface for the sharing box at the top of the news feed, Facebook dedicates two buttons for tagging friends and checking into a location. Facebook certainly did not take too much time to stay on par with the latest and greatest in Google+ like location and privacy controls. The new features are welcome additions to the popular social network. The roll out to users begins in a few days. as long as it doesn’t start automatically uploading pix i take from my camera phone onto my profile, i will be happy. i was so pissed when i found out that was happening with google+. i disabled my account and deleted the phone app. why does google just automatically enable these features instead of letting you OPT IN voluntarily? that is why i was so pissed about google BUZZ. buzz off! I am pretty sure you would have to manually enable the upload to Google+ feature for it to begin working. Even when you do enable auto-upload on Android smart phone for Google+, it still makes the photos private. No one can see them but you unless you choose to make them publicly available.